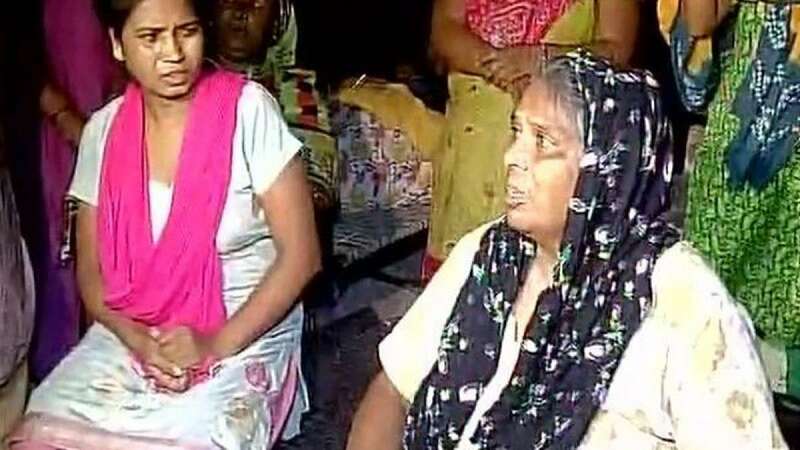 New Delhi : Her injured hand throbbing in pain, Shyamlata is distressed that none of the people who saw her son being stabbed by three assailants came to his rescue. Shyamlata's son Rahul, 24, was stabbed to death with knives and swords at a park in Nangloi area on Tuesday evening after she stopped two persons from consuming drugs inside a public toilet. "At least 50 people were watching... I begged everyone, but no one helped my son," a broken Shymalata told IANS. Shyamlata, a Dalit, was threatened after she objected to drugs being consumed in the public toilet where she worked with Rahul. Rahul, who happened to reach the spot minutes after the verbal spat, was attacked by three youths in the park adjacent to the public toilet. The assailants came with about 15 accomplices, most of them taking positions in the park to prevent Rahul from escaping. Members of Shyamlata's family, who reside in Mundka area of north Delhi, said the murderous assault took place even as a crowd watched. They said Rahul was getting a room constructed at his small house in Mundka as he was to get married in six months. He was working at the house barely hours before he was brutally killed. And on Wednesday, it was his body that lay there. Tools were lying in one corner of the under-construction room, bricks were strewn around, the walls were unpainted and drains were uncovered. Showing her left palm, Shyamlata said that she got injured while trying to prevent one of the assailants from stabbing her son. "I don't want anything else except the noose for the guilty," she said with her hands folded. "If we don't get justice my daughter and I will commit suicide in front of the police station." At the park near Janata Market in Nangloi, where Rahul was murdered, spattered dried blood could still be seen on Wednesday afternoon. About a dozen people, who live or run shops within 50 metres from the park, to whom IANS spoke, said they didn't witness the murder. Most of them said that they were away at the time of the incident, while some said that they were sleeping. "Even if anyone witnessed the murder, who is going to tell? They are all afraid," a shopkeeper who didn't wish to be identified, told IANS. As Rahul's body was carried away by his family members for cremation, Shyamlata ran behind her son's body crying: "Please, let me see him for one last time."